U.S. President will host Saudi Arabia's Crown Prince Mohammed bin Salman on March 20. U.S. President Donald Trump will host Saudi Arabia's Crown Prince Mohammed bin Salman on March 20, the White House said Monday, according to AFP. "The president looks forward to discussing ways to strengthen ties between the United States and Saudi Arabia," said White House press secretary Sarah Huckabee Sanders. The hugely influential Saudi prince is visiting Egypt, Britain and the United States as part of a long foreign trip, his first as crown prince. 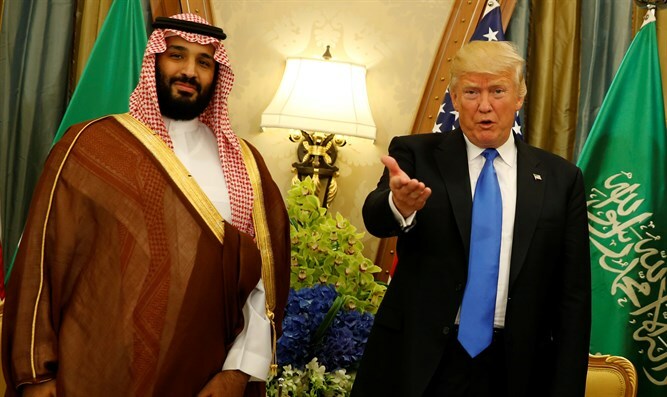 He has a close relationship with Trump and his son-in-law aide Jared Kushner, who is seen as having given the green light for Prince Mohammed's rush to consolidate power in recent months. Kushner visited Saudi Arabia this past summer and met with the crown prince to discuss efforts to bring about peace between Israelis and Palestinian Arabs. He has also levelled criticism at Iran and Turkey. In November, he referred to Iranian Supreme Leader Ayatollah Ali Khamenei as “the new Hitler of the Middle East”. Last week, he described Turkey as part of a “triangle of evil” along with Iran and hardline Islamist groups. Critics have labelled the crown prince's campaign a shakedown and power grab, although authorities insist the purge targeted endemic corruption as the country prepares for a post-oil era. The crown prince has promised a more open society, one which allows women to drive and relaxes rules on music and on theaters.